We’ve created three unique match bundles for Leicester Tigers fans to take advantage of this festive season. With the cold nights drawing in, our Winter Bundle means fans can warm up in the Welford Road crowd as Tigers face Saracens (November 25, 3.00pm), Racing 92 (December 16, 1.00pm) and Harlequins (December 22, 3.00pm). Looking to get a head start on your festive shopping? 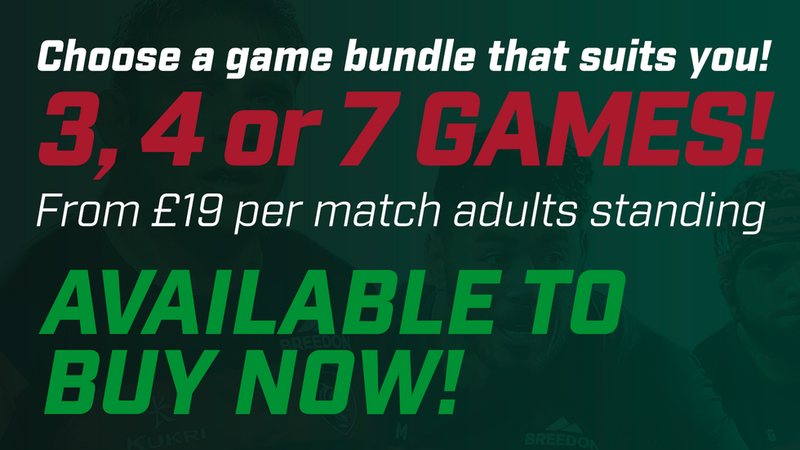 Our four-match Big Game Bundle and Half Season Bundle are a great way of guaranteeing your spot at some of the season’s biggest fixtures. The Half Season Bundle offers fans all seven of Tigers scheduled 2019 home matches this season. 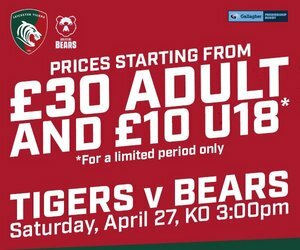 Enjoy all the benefits of being a Leicester Tigers season ticket as the club welcomes Gloucester, Wasps, Northampton Saints, Exeter Chiefs, Bristol Bears and Bath Rugby to Welford Road in the second half of the season, as well as the European visit of Ulster Rugby in the Heineken Champions Cup.